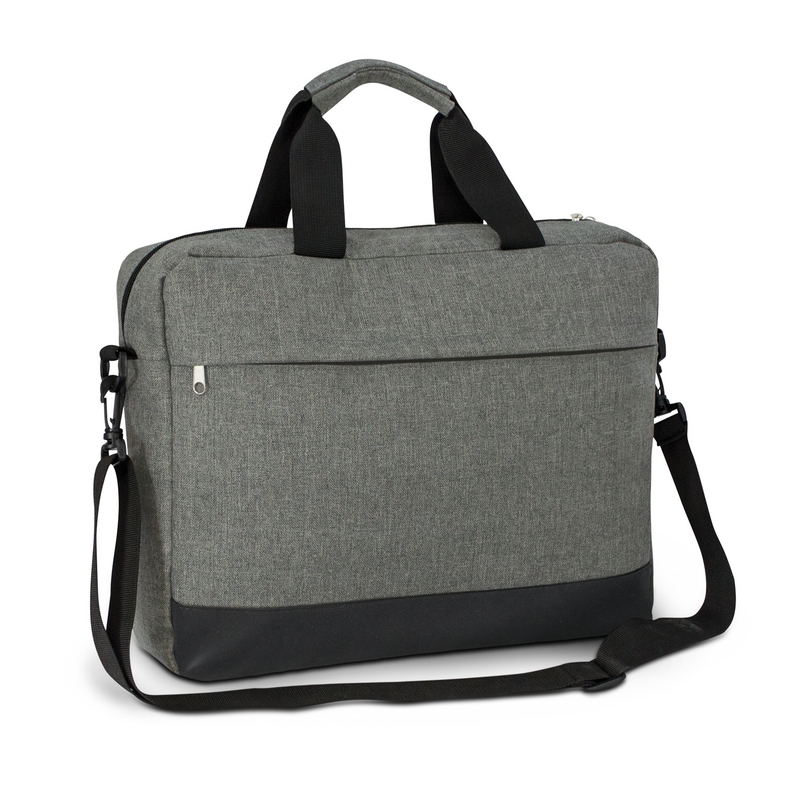 A business satchel that stands out from the rest with its style and quality. Turn heads at your next conference with these fashionable "heather style" two tone fabric conference bags. They are a large padded business or conference satchel made from polycanvas that's woven using different coloured fibres to get the looks. It puts the spotlight on your logo and can be decorated using a variety of methods. Features include: carry handles, adjustable shoulder strap (removable), internal padded laptop compartment, 600D polyester base and a large front pocket with hidden zippered closure. A luxurious style that stands out.